Holding the expertise we are manufacturing and designing a huge assort of LED Aviation Obstruction Light keenly in accordance with the international standards. These warning lights are fabricated to ensure its reliability and fidelity. These are used widely in aerodromes to indicate the clearance for landing air crafts. 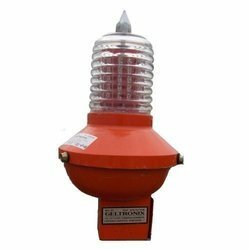 Holding the expertise we are manufacturing and designing a huge assort of Aviation Obstruction Light keenly in accordance with the international standards. These warning lights are fabricated to ensure its reliability and fidelity. These are used widely in aerodromes to indicate the clearance for landing air crafts. We hold the expertise in manufacturing a wide range of Solar Aviation Obstruction Light. Our ranges of products are manufactured using superior grade raw materials and components to ensure its consistency. 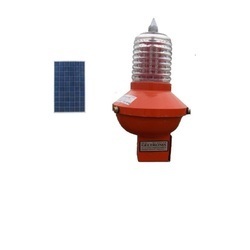 These Solar Obstruction lights are used for indication of solar resonance. 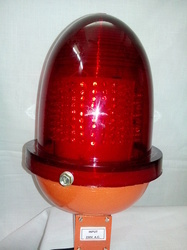 This variant of aviation lights is available with us with wide range of industrial specifications. Our highly reliable lights are offered at reliable price.